Facebook ads. Adwords. Blog posts. Instagram. There are so many channels through which you can get your brand out there that you might laugh at the notion of explainer videos. What year is it, right? Well, I can’t blame you for thinking like that – but I’m going to show you some undeniable data to make you reconsider. 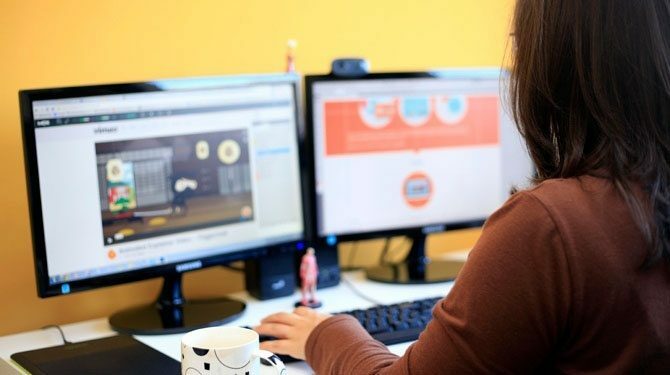 Yes, explainer videos have been around for quite some time now, but just like it happens with email marketing, these videos are still around for a basic reason – they work. Explainer videos increase the average visit time by 2 minutes. Visitors that enter a site with videos on them tend to watch at least a part of it, making their visits longer when compared with websites with no videos in sight. Furthermore, the video can spark their interest about the product and services offered by the company, which prompts them to keep browsing the site for more information. They boost the conversion rate by 20%. If the video is well done, visitors can understand the company’s value more quickly. This leads to more engagement and more people getting into the sales funnel. Basically, explainer videos open up more opportunities to make a sale. People prefer videos to text on a 4:1 ratio. Even without the numbers, you should already suspect that people are reading less and less – especially online. So, if your company really wants people to learn about the services you offer, then you need a practical and more direct way to do it. Enter explainer videos! Marketing videos are cheaper than focusing on Adwords. I know, Adwords are effective and everyone’s using them. But you have to admit they can be quite pricey. That’s why having videos to promote on YouTube and Google Display is so good – they can have a cost per click of 1/20 of a keyword! Impressed, huh? I thought you’d be. Any marketing material able to provide those kind of numbers should have a privileged spot in your strategy. They are the warranty you need to feel confident when investing in video development. 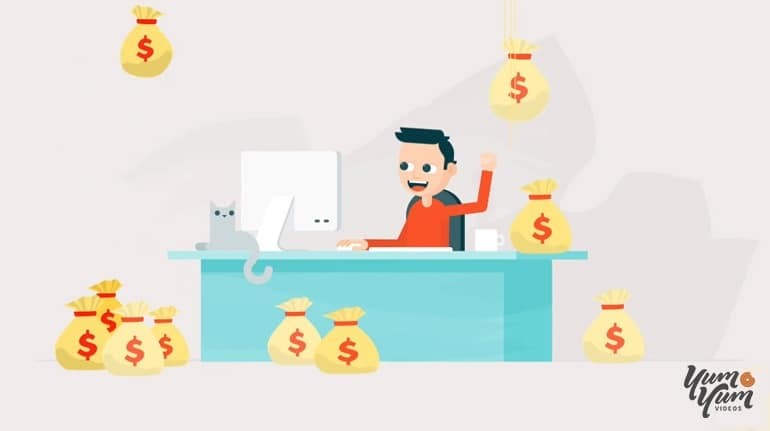 Because, yeah, an animated explainer video is an investment that will bring rewards. I believe the keyword here is ‘investment’ because it truly shows what goes on when you put some money into the development of your company video. Most people don’t get that essential part and get scared when they see how much one of these videos can cost. But if you understand what’s going on behind the scenes, you’ll get that you’re paying for high quality (and the results). Getting one of these videos done involves a team of experts to work on it. From script writers to the animation crew, there are several professionals working together to create a smash hit. All of those people aim for the same thing – a unique video that can best represent your brand. See, that’s what makes videos so appealing to customers: they show what your company is like its spirit. Displaying that on a video isn’t easy but when achieved, the resulting product is memorable and has an immediate impact on how your audience perceives your brand. So, what might seem pricey at first will lead to a search for your video voice which ultimately will take the production team to a detailed customization. There are other factors that come into play when producing an explainer video. Tighter deadlines to meet a certain date, longer videos to fit more content or the technique used to develop it can all have an impact on the price. It isn’t the same to work on a motion graphics video as working on a 3D video. But of course, you’ll get a distinctive feel from one or the other. It all boils down to what you really want, what your competitors are doing, and what your audience is seeking. By combining the 3 of them, you can find something that distinguishes yourself from the others – a goal any company out there would kill for. In short, the investment you make on a video of this type ends up paying on several fronts: your traffic, your sales funnel, your own brand’s personality. I can see it in your eyes (figuratively speaking!) – you’re already falling in love with the whole explainer video concept. It’s impossible not to! That’s why I feel the need to discuss one last thing before leaving you to debate whether you keep thinking explainer videos are worthless or not. Yes, you’ve guessed it – it’s the cost. I said above that some people get scared when they see how much some US companies are charging for a video. Don’t say you haven’t been warned. A video from a good American production company costs between $15k and $25k. You can see why some people shy off from the idea of actually making one. But all of the things I’ve discussed should put those numbers into perspective. Even if it doesn’t, hear me out. What would you say if I said to you that you could get all of the benefits listed above with all the quality we’ve discussed in this article but paying only half of what everyone else is charging? Don’t dismiss me just yet – it’s totally possible! With the right explainer video company, you can get the best of the best while paying a price that can fit any budget. While US companies are charging those prices, video production companies based on other countries can offer you a far more competitive price with the same quality standards. We should know about that – Yum Yum Videos is one of them! With agencies like ours, you can pay between $6k and $12k per video. You read that right – and you don’t have to sacrifice quality, length or anything. Still aren’t convinced? Then think a little more. If your company is capable of generating that amount in revenue in 3 months and under, then not doing it is suicide. Here’s when you should remember the ‘investment’ part. After covering the initial cost, all revenue that an explainer video can generate is net gain. Considering you can use a company video for a long time and given the numbers we’ve seen above, you can see how the cost vs. ROI battle is going. The ball is in your court now. You can’t play dumb anymore when it comes to explainer videos. You’ve seen the numbers, taken a peek behind the curtains, and even found an impressive price you should totally take into account. It’s time for you to sit down and ask yourself if your company could use a visibility and sales increase (and a unique personality feature!). It’s time to leave all the preconceptions behind and look at the hard facts. The digital society your company is surely in craves for audiovisual content. Having a video strategy on your side to showcase your services and products is great for your inbound marketing and your whole buyer’s journey. Take the time to look it over. Study your competitors. Talk to the experts. Finally, don’t believe for a second that the benefits end with explainer videos. Your company should also look into doing some commercials, testimonials and even educational videos to take full advantage of the video craze. Couple that video variety with the perfect customization and put the resulting products at the forefront of your marketing strategy. After that, brace yourself: your brand will start to go upwards, fast. 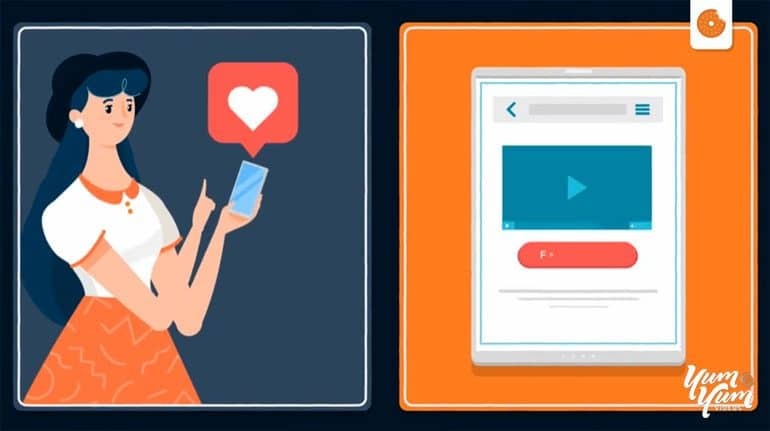 For more information on how explainer videos can help your marketing campaign, check out this comprehensive guide with everything you need to know about the topic. And if anything in this article left you with any doubts, feel free to contact us or write to us in the comments section. We love talking about videos so much that we have devoted our lives to it!